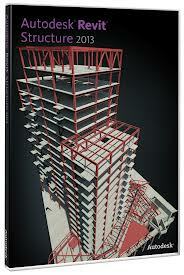 This class builds on the concepts and skills introduced in the Autodesk Revit Structure 2013 Essentials class. This class, taken together with the Autodesk Revit Structure 2013 Collaboration Tools Phasing and Design Options class, is the Intermediate Level course. Each class may be taken individually; however, it is recommended that both classes be taken together as an intermediate level course. The student will learn how to create a topographic surface for use in site design. He will learn how to manipulate surfaces and best practices for linking project models and site models together using shared coordinates. Next the student will expand his knowledge of structural tools started in the Essentials course. More time is spent learning about additional schedule types and advanced scheduling concepts. To round out the class, students will be introduced to family editing, learning to create several 2D family types. The student will also learn more advanced techniques and tools to allow for exploration of Design Options and how to accommodate renovation and addition projects across multiple phases of construction. In addition the student will learn about collaboration and file sharing as well as advanced view setup and importing and exporting. This class assumes that the student has either taken the Essentials class and/or has used Revit Structure to a degree that he is comfortable and current with its use.